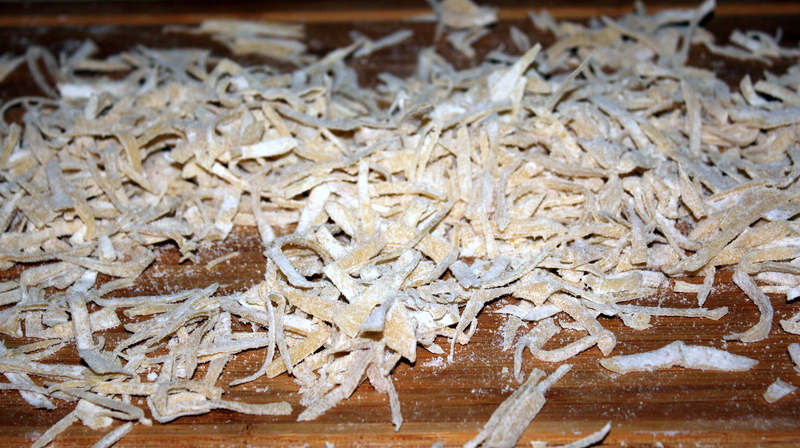 In a bowl, mix flour and salt. 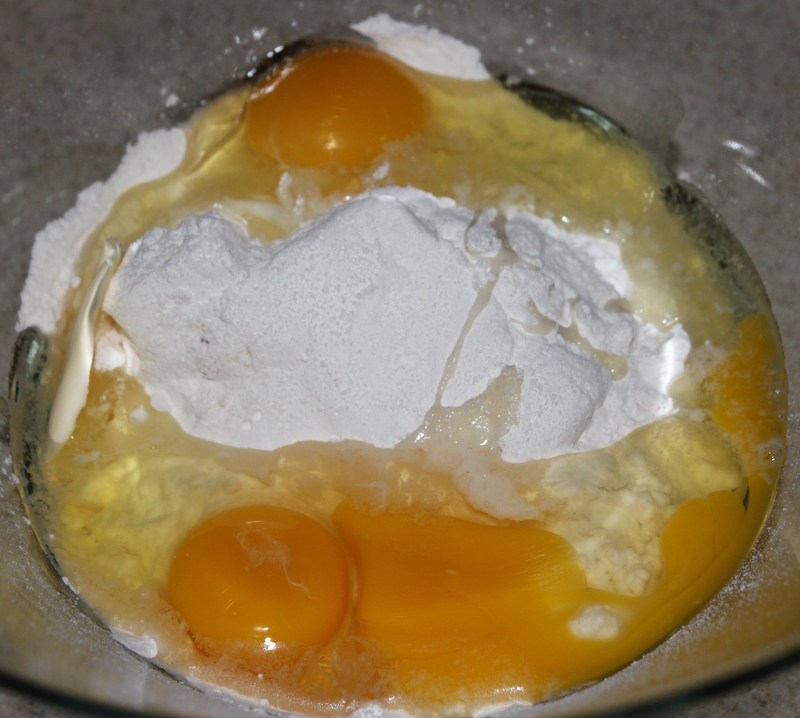 Add eggs and butter, mix thoroughly, knead until smooth and form a ball. 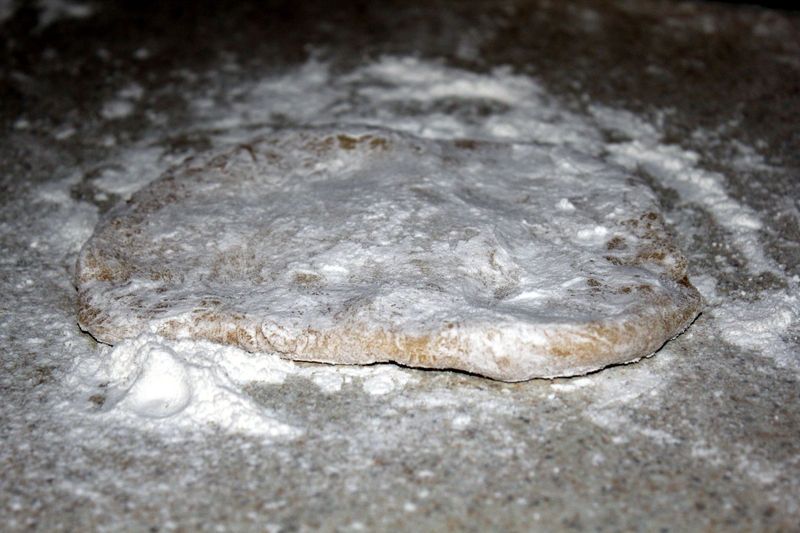 The dough should be a little hard but not too hard. 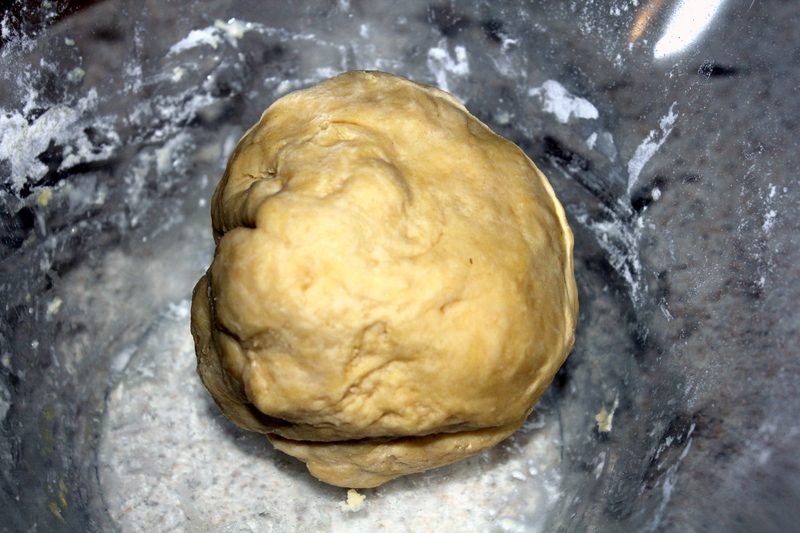 If dough is too dry add 1 tablespoon water or more butter, if too sticky add flour. Cover the bowl with plastic wrap and let sit about 20 minutes . 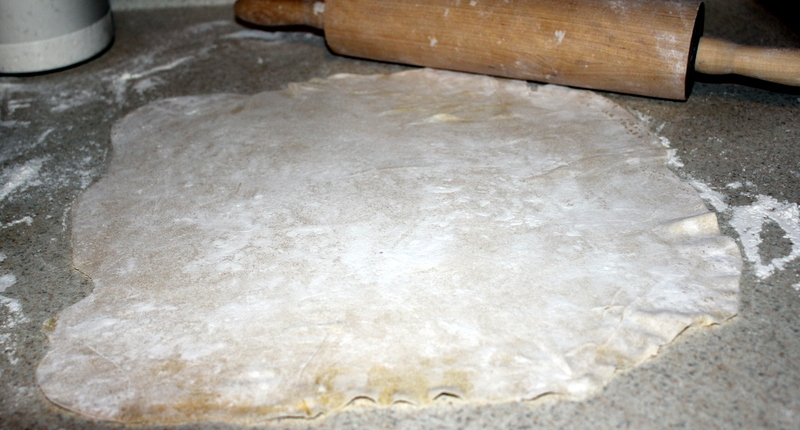 After this time, divide the dough into 3 parts. 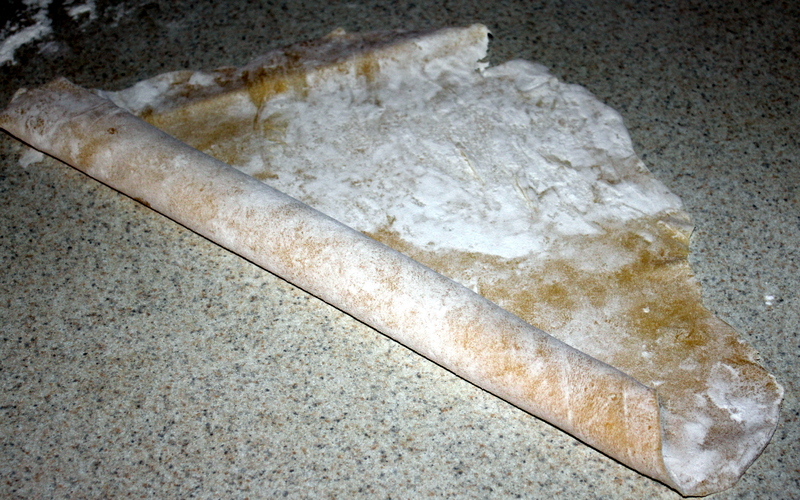 Flatten each piece first in hands, sprinkle a pastry board with flour, then roll out the dough, 1 part at a time, into paper-thin round pancake, leave to dry (around 20 minutes), keeping remaining dough covered. 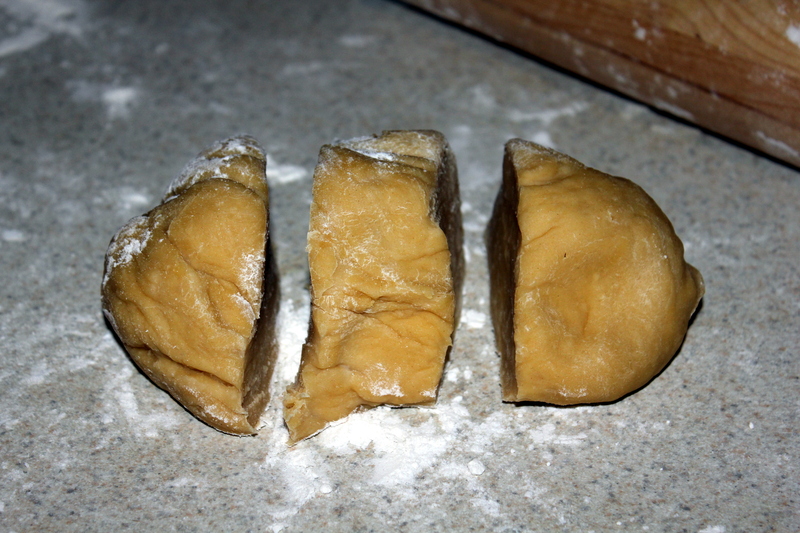 Dough of a perfect hardness requires a lot of strength at sheeting. 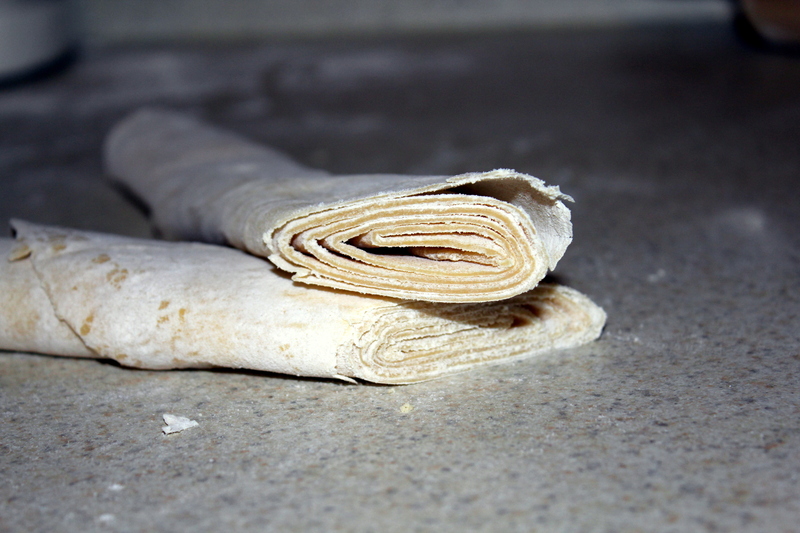 Roll the round pancake into a roll and cut in desired size. 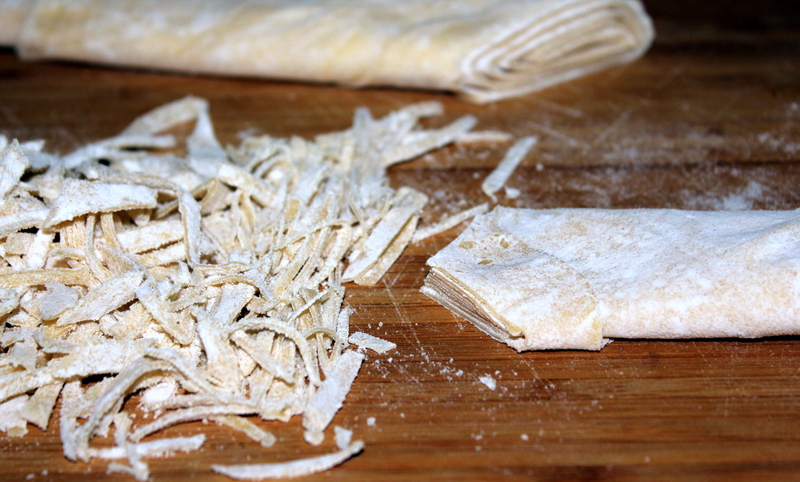 Sprinkle the noodles on pastry board and leave to dry for a few minutes. 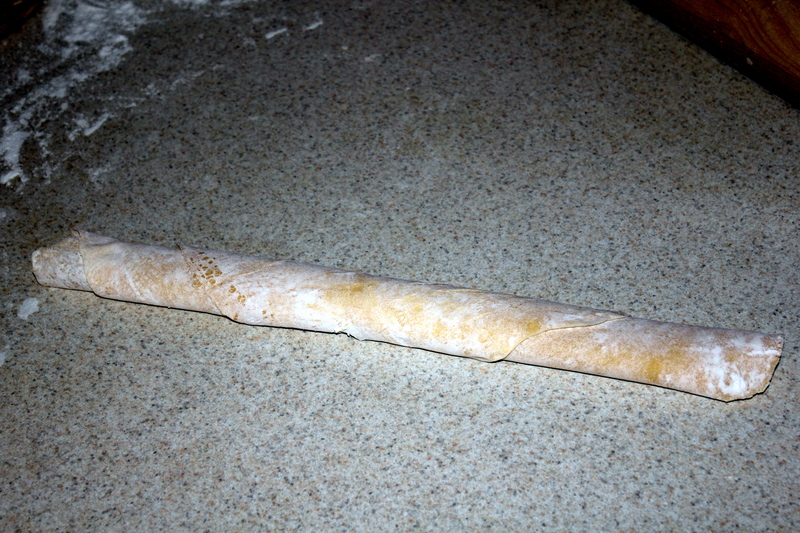 Before cooking, shake thoroughly with flour. 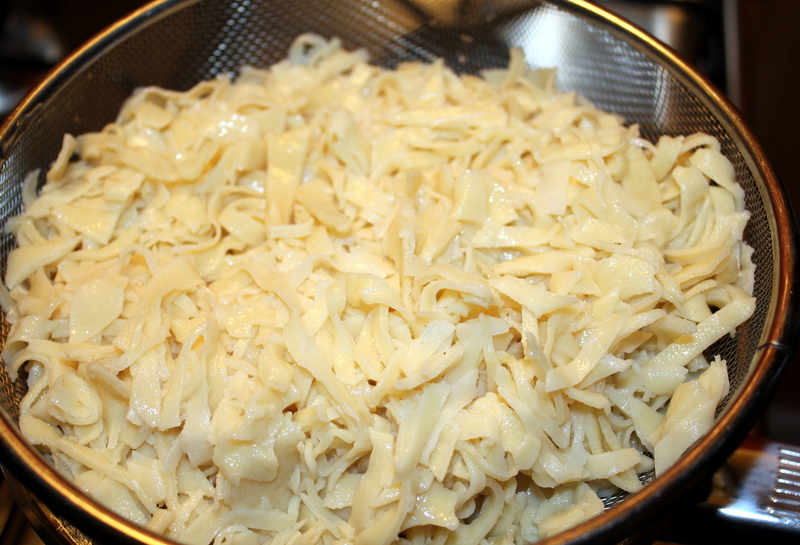 Cook in 8 cups boiling salted water (1 tablespoon salt) until tender.Drain thoroughly. 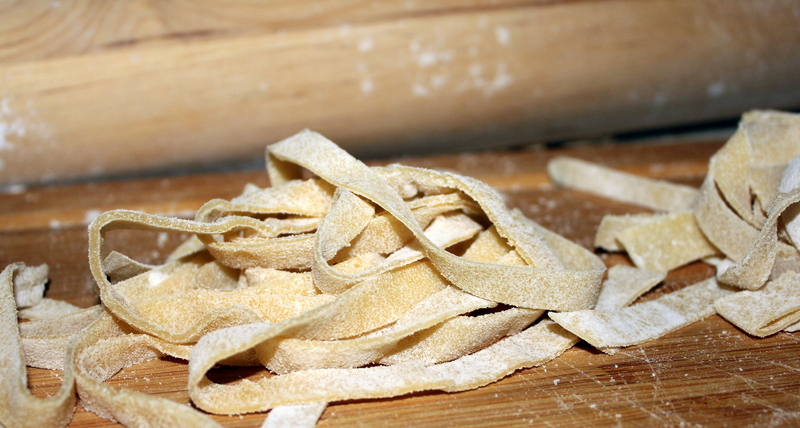 Your photos bring sweet memories, my great aunt who was a magnificent cook, made her noodles in exactly the same way. 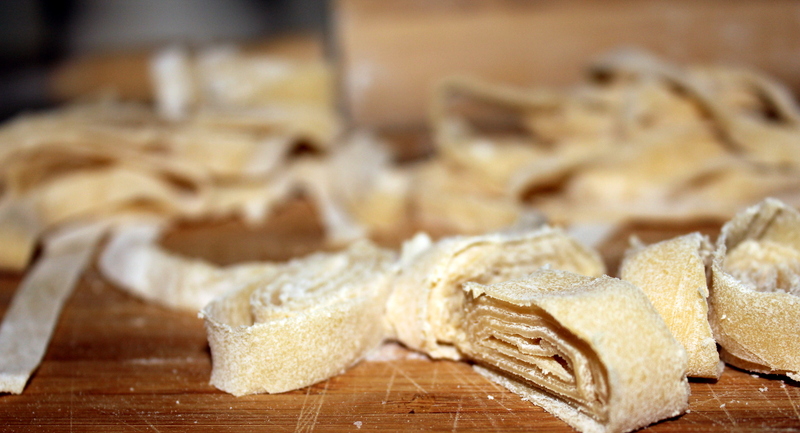 And so do I, though I had to master gluten free version when I got my coeliac diagnosis. Thank you Irena! It is a dish from my childhood and I love it. I will have to try your gluten free version one day.